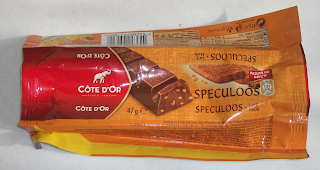 Here we have the Cote d'Or Speculoos Lait, a milk chocolate bar with speculoos biscuit pieces. Côte d'Or is a Kraft-owned brand popular in Belgium. 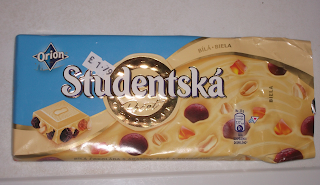 I believe they used to sell some of their bars in UK supermarkets, but they disappeared after a while. Nowadays they pop up randomly in discount stores. This is one such bar I found in a discount store. They were selling them at 5 for a pound, which immediately made me suspicious. These days you're lucky if you can get three bars for a pound, so I knew something was up. I decided to buy just the one bar, which cost me 20p. This review is mainly to serve as a warning: DO NOT BUY THIS PRODUCT! 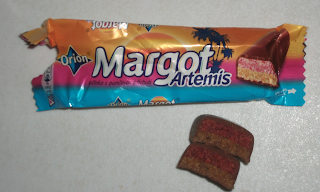 "Marzipan with out of date rum flavoring that's been left on a shelf for five years, then wrapped up and sold", is how my friend described the taste of this bar. A tad dramatic maybe, but I have to agree. This bar was awful in every way and took us totally by surprise. I initially assumed it was some kind of fruity coconut bar, judging by the exotic looking picture on the wrapper. It actually turned out to be some rum-flavored coconut/marzipan abomination. The taste was just awful. Artificial, chemically, mega-sweet, and just..inedible really. My friend spat his out, but I managed to gulp my piece down...just. This isn't the first bad experience I've had with the Orion brand (although I enjoyed the Studentska bar)...but more to come on that later! 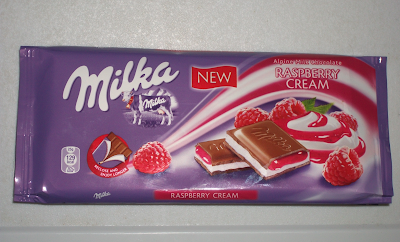 You have been warned: if you happen to see this in your local Polish store, do not buy it! 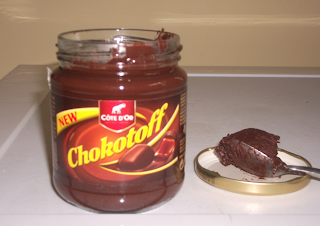 Here we have Côte d'Or Chokotoff spreadable. I found this spread at a local market stall for 59p - what a bargain! It has a strange grainy kind of texture, which isn't unpleasant, but I get the feeling it may have something to do with having traveled across Europe. For those of you that don't know, Chokotoff is a Kraft-owned chocolate toffee brand that is apparently popular in Belgium. This spread was very rich, and definitely had hints of toffee but they weren't all that strong. Since there is no English on the back I couldn't determine what this actually contained, but I would guess there was a decent amount of cocoa in it. Overall I would say this was a pleasant surprise - definitely nicer than the average chocolate spread found on UK shelves, but it could have done with more toffee flavor. My verdict: worth a shot if you come across it. This is another "old" review I'm afraid, from before I began this blog. I found this bar in B&M bargains, along with two other varieties in the same range. 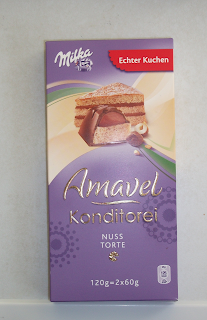 It's basically a thin layer of cake, topped with a layer of nut cream and coated in Milka chocolate. It actually sounds a lot nicer than it tasted. The cake was very dry and tasteless, and the nut cream was rather cheap tasting and unpleasant. I'm not sure if this has something to do with it being close to the sell-by date, as so many B&M products often are. Or maybe it's just a poor product hence why it's being offloaded into UK discount stores. Either way, I was very disappointed in this bar - it promises more than it delivers. My verdict: this is one to avoid. Edit: After browsing some other reviews of this range I noticed they were a lot more positive, so I'm guessing I was just unlucky with this product. If you happen to try it for yourself, please let me know your thoughts! I really loved the mixture of different textures and flavors in this bar. The peanuts were especially good, giving a nice savoury, salty taste that worked well with the sweet white chocolate. The orange pieces were very nice too, and added a nice fruity zing to the bar. The raisins were also good, and quite large in size. If only the white chocolate itself has been nicer...sadly it was just very sweet and only slightly milky. Still, it was a good carrier for the fruit and nuts.